When I started this latest birthday project, I knew that a big part of making it successful would be sharing my experiences with friends and family. So I chose a day when Trevor was at school and Steve was away on a business trip and invited my coworkers from back in my teaching days to join me in trying 7 new-to-me foods. It was the same group of friends (minus two) who joined me to try Miracle Berries as part of my 40th birthday celebration. 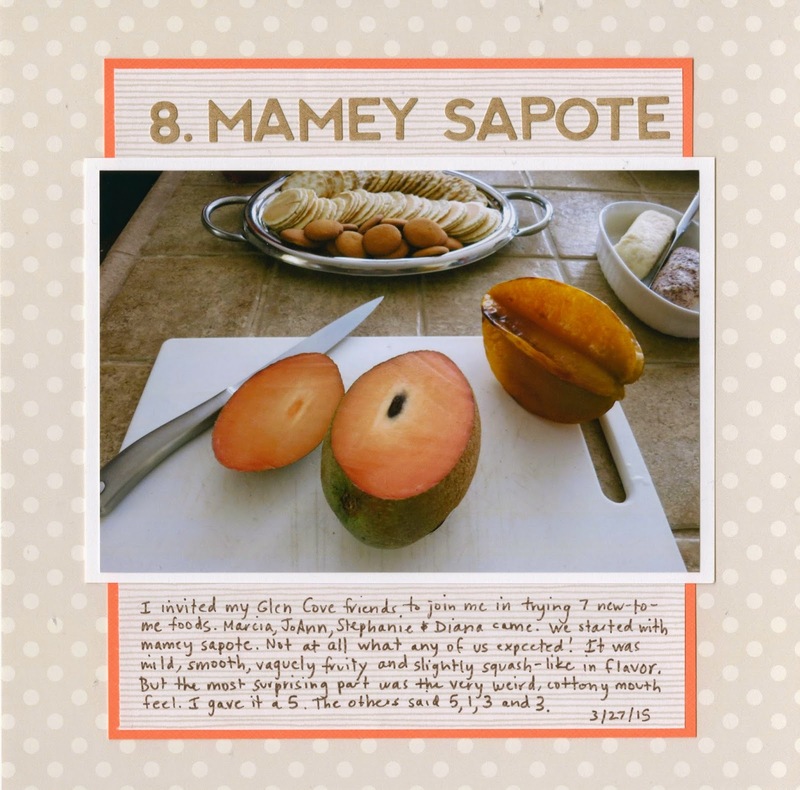 The first new-to-me food we tried was mamey sapote. I found it at the same Asian market where I discovered the galangal. It smelled nice, subtle but fruity, and it was such a pretty shade of peachy orange. The taste was very hard to describe. Mild, vaguely fruity, and a bit squash-like. But the most notable thing about it was the strange mouth feel, which one friend described as 'cottony.' I didn't have as negative a reaction to it as a few of the others did. I gave it a 5. The others graded it 5, 1, 3 and 3. You are brave! I am so afraid of new foods! LOL!!! No, I'd had starfruit before many times. (Yum!) But one of my friends hadn't and brought it along in case it was new to me also. Hmmmm...interesting. I haven't tried it before. 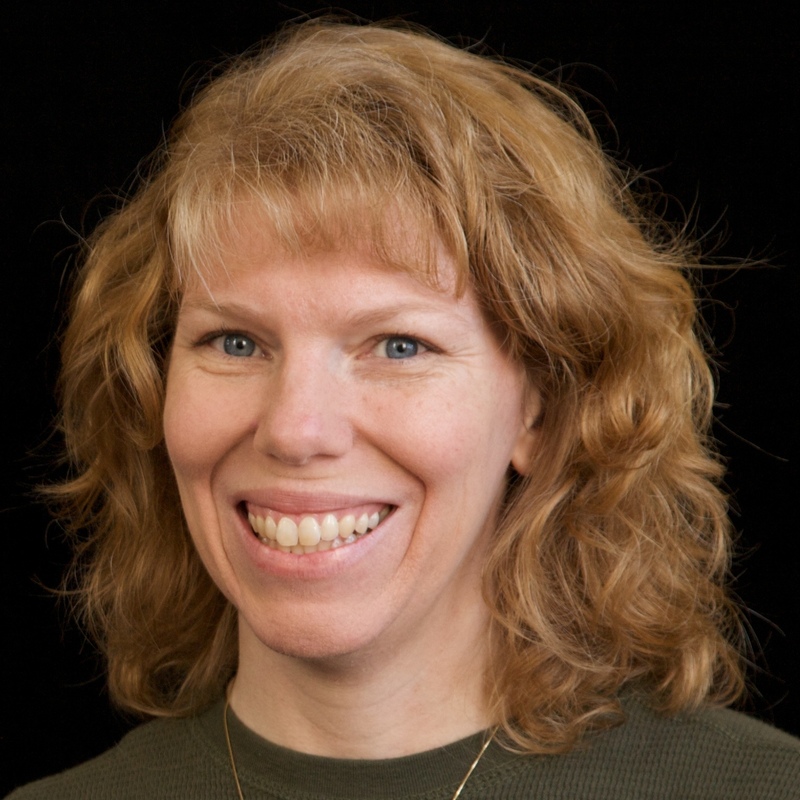 You are a very brave woman, Cindy! I don't know if I would have wanted to try this - just the texture alone may have stopped me! Join Me Saturday for National Scrapbook Day! Let the Birthday Preparations Begin!